I got this shot in the botanical gardens as I sat and ate lunch. 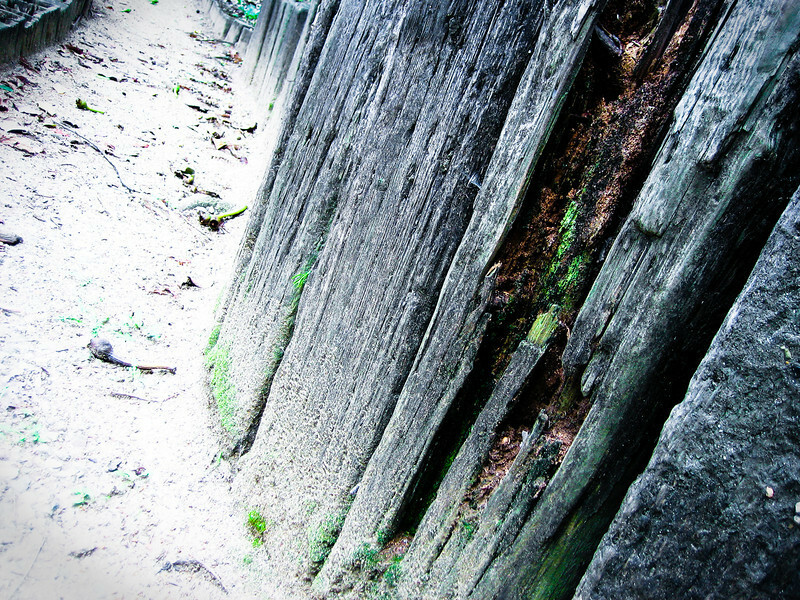 The deteriorating timbers that are used to construct planters and paths looked neat, so I snapped a quick shot. I played with the colors to make it darker, and increased the contrast significantly. Oh wow, this is overwhelming capture!